Las Vegas might not be the ideal place to try and build a technology hotbed, but that doesn’t mean it can’t be done. As I reported previously, Zappos (s amzn) CEO Tony Hsieh is investing an impressive amount of money — $350 million — to help revitalize the city’s urban core and create a community of tech startups, and he already has some key pieces of his puzzle in place. And while it’s easy to be skeptical of Hsieh’s grand vision, the companies that have moved to the desert are confident they made the right decision, in part because Las Vegas isn’t Silicon Valley. It’s not Silicon Valley. That’s a good thing. Members of the Las Vegas startup community who’ve had experience in places such as Silicon Valley and Seattle relish their new home because it’s not those places. The path to success in Silicon Valley follows certain patterns, both Habit Labs Co-Founder and CEO Jen McCabe and Romotive Co-Founder and CEO Keller Rinaudo told me, but Las Vegas gives them the opportunity to blaze their own trails and actually help shape whatever process ultimately results from Hsieh’s experiment. Actually, Rinaudo said, being in Las Vegas has been a huge advantage for Romotive. Software developers hold all the cards and there are lots of well-funded companies looking to grow their staffs, so he can’t hire the people he wants just by waving money at them, there has to be something more. Rinaudo says Las Vegas gives Romotive the opportunity to sell potential employees on being part of a tight-knit tech community and, perhaps, the birth of something great. Team Romotive (Rinaudo second from left). Credit: Andrew Seid. And when companies get the employees they want, being in Las Vegas should make it easier to keep them. There’s not Google (s goog), Facebook and Palantir acqui-hiring the people or technologies they want, McCabe said. There’s nothing wrong with building a company where the ideal exit or career path is quick absorption by a dominant force, but people who want that won’t come to Las Vegas, she added. There’s also the benefit of being a big fish in a small pond. Romotive got a magazine cover in Las Vegas, Rinaudo noted. There’s no way a several-month-old company that hadn’t even announced funding could have got that treatment in San Francisco. Zappos’ Zach Ware, one of Hsieh’s close associates, takes a particularly astute stance on this issue. Business-wise, he says, California actually has bigger obstacles with taxation and regulation than does the relatively lax and tax-free Nevada. Las Vegas’s biggest problem is “quality of life for the creative class,” but that’s exactly what Hsieh is spending a fortune to build. When it comes to selling new companies and employees on the Las Vegas culture, Hsieh has put a unique system in place. If one really wants to call Hsieh’s Las Vegas startup effort an incubator, it’s only in the loosest sense. Yes, startup employees will tell you, Hsieh and his close associate Zach Ware are always there for advice. Yes, there is a lot of networking. And, yes, Hsieh will gladly chip in with funding. But he’ll also give companies a place to live in one of the dozens of units he owns in a downtown condominium complex that overlooks the forthcoming Zappos headquarters. Presently, a handful of startups have taken Hsieh up on the offer, and they live in close proximity on the building’s 17th floor. Jen McCabe, co-founder and CEO of personal-health-platform Habit Labs, compares the experience to college. Doors are always open, she said, and the companies do community dinners in the evenings. For leisure, almost everyone goes indoor rock climbing together. The companies also work together, from their apartments, as they await the completion of a nearby co-working space Hsieh and his Downtown Project are opening. No one hesitates to walk 30 feet down the hall and ask each other business- or technology-related questions, McCabe said. Romotive, which moved to Las Vegas shortly after forming in Seattle, is presently building about 2,000 of its iOS- and Android-powered robots from its apartment, meaning nearly every free inch of space is covered with stacks of components and shipping boxes. McCabe, something of the group sage given her relatively high 32 years of life experience, admits the experience takes a certain type of individual and company. She’s one of those people: she visited Hsieh over Thanksgiving in 2011 and her team had relocated by the end of the month. But if you’re an early-stage company hellbent on changing the world, she told me, you’ve already assumed a high level of risk. Shaun Swanson of Ayloo.net and Counterless actually grew up in Las Vegas (as did the company’s other founders), but, he told me, “I left when I was 18 and wanted to get as far away as I could.” After completing his bachelor’s degree at Carnegie Mellon University and briefly studying at Caltech, Swanson has now been back in town just more than three months. “I’d never been downtown before I left,” he said, but he got excited about what was going on with the Downtown Project, and now he lives downtown. Despite the optimism of the startups that now call Las Vegas home, though, there are some very real institutional challenges. For the greater Downtown Project that funds these companies, redeveloping the city’s urban core is rife with hurdles relating to zoning, mass transportation, and a population that lives and works in the suburbs or on the Las Vegas Strip and often doesn’t spend enough time downtown to know or care about what’s going on there. For the startups, a major challenge will be finding new employees to grow their companies. In Silicon Valley, for example, Stanford and UC-Berkeley pump out candidates well-versed in computer science and the business of entrepreneurship. For companies headquartered in Las Vegas to hire without having to convince candidates to up and move to a new city, the University of Nevada, Las Vegas might have to become the city’s own feeder system. There certainly are qualified graduates — Zappos employs many of them, and Romotive just hired a UNLV student they hope can grow into an integral part of the company — but the unique aspects of launching startups and some of the high technology required aren’t part of UNLV’s DNA just yet. One member of venture capital firm Originate told me he’s had trouble finding qualified engineers in Las Vegas to help the firm’s portfolio companies build their businesses, and all of the startups I spoke to acknowledged that hiring might be a challenge. As Ware explains it, computer science students might get pretty much the same education anywhere, but it’s the understanding of how to use those skills and the access to investors and industry knowledge that sets some universities apart. Ware said the Downtown Project and Zappos, generally, are interested in helping foster degree programs at UNLV around the convergence of technology and business. They also think it could be helpful to locate certain university buildings downtown, or to hold classes there, so students can get more integrated into the technology scene. As it stands, the UNLV campus is about 5 miles from the new Zappos headquarters. Las Vegas’s newest startups are getting proactive, too. Habit Labs’ McCabe said her company intends to reach out to relevant medical-school and computer science faculty to integrate the idea of personal health platforms into their curricula. Romotive wants to start younger, Rinaudo told me — when the company moves into a more-permanent facility, it wants to start holding robotics classes for teenagers to get them interested in the technology. Apart from the efforts coming out of the Zappos ecosystem, Las Vegas-based technology companies might also get help from the city’s other IT powerhouse, Switch Communications. The operator of the SuperNAP data center and, soon, millions more square feet of data-center space in the city intends to unveil in March a series of educational and entrepreneurial efforts under the INNEVATION banner. Among those efforts is a plan to open a cloud-computing facility on the UNLV campus. In the end, said Habit Labs’ McCabe, she views the effort to build a technology scene in Las Vegas as analogous to a mission to colonize Mars, but the history of Silicon Valley isn’t that different. With enough ideas and enough desire, she thinks Hsieh and those who sign on to his vision can create a technology hotbed out of the desert dust. 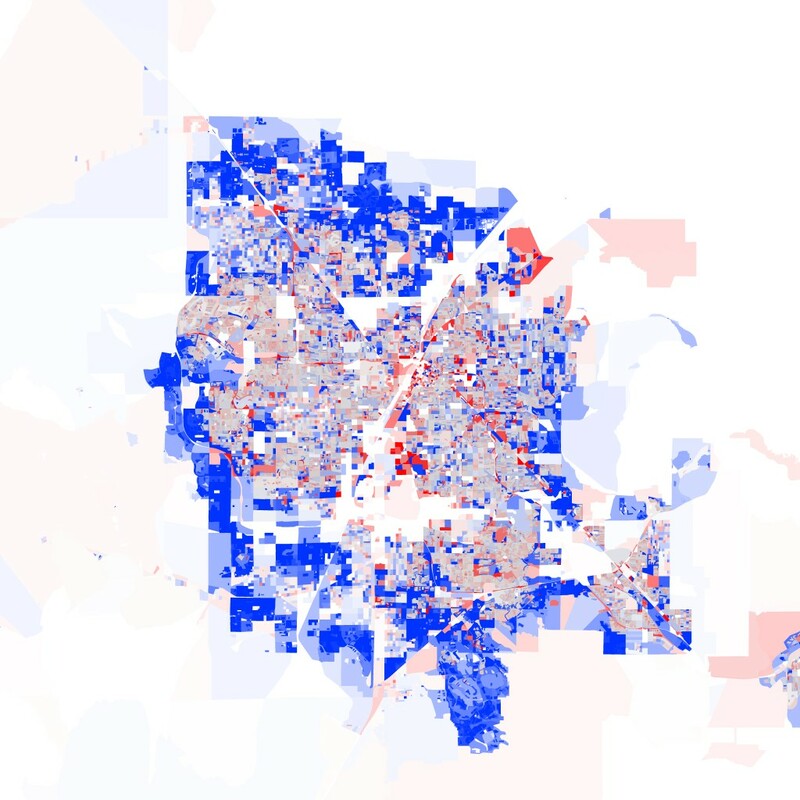 Feature image by Derrick Harris; Las Vegas population map courtesy of Data Pointed. Uh, Derrick you might want to fact check your work a little better. Half of the Habit Labs team, including the other co-founder, are still in Seattle and hasn’t moved to Vegas. Also I’m not sure how Habit Labs is considered a “platform” since they have no API(s)? 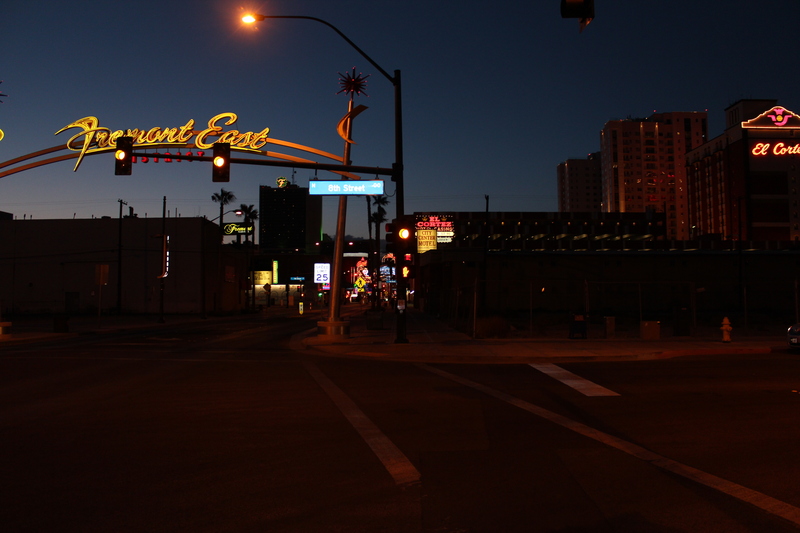 Downtown Vegas is still a tricky area for people with younger kids to relocate (both Buster and Alex have growing families), although we’re working on building resources into community for that to be more comfortable. Like bringing talented engineers, designers, and entrepreneurs out here it’ll take some time and serious effort, but we’re committed to seeing that realized. The Seattle contingent of Habit Labs has been amazingly supportive of building a habit city downtown. Buster is still working hard in Seattle with one of our other engineers, Alex, who’s building the API. If you’d like priority access when it’s ready we’re happy to have testers – email jen@habitlabs.com or buster@habitlabs.com.